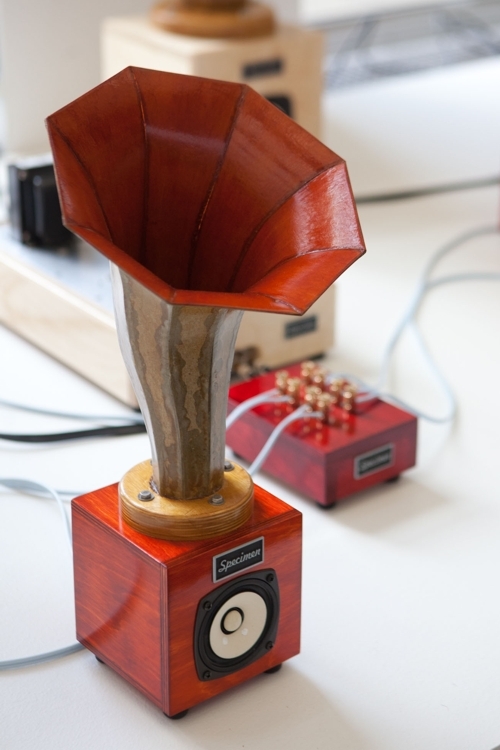 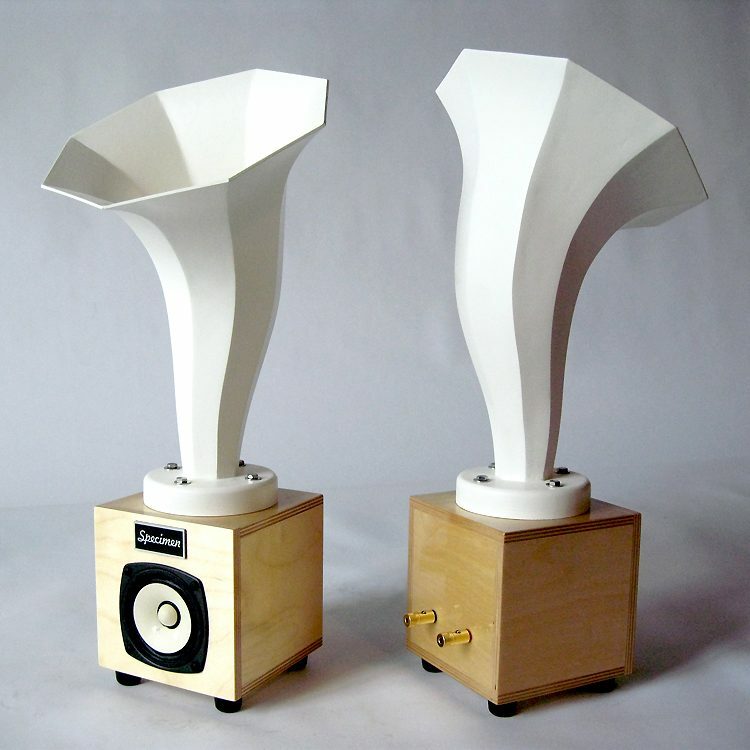 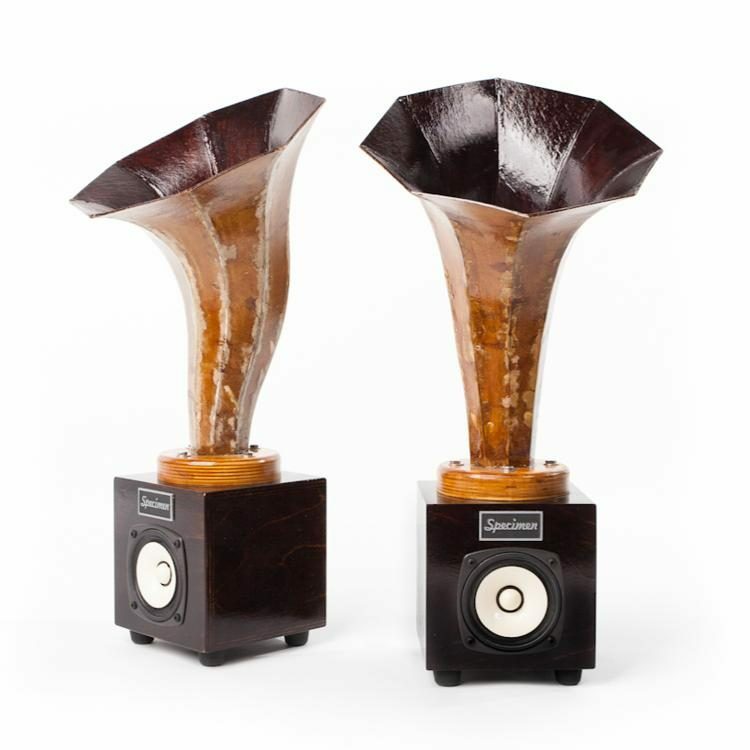 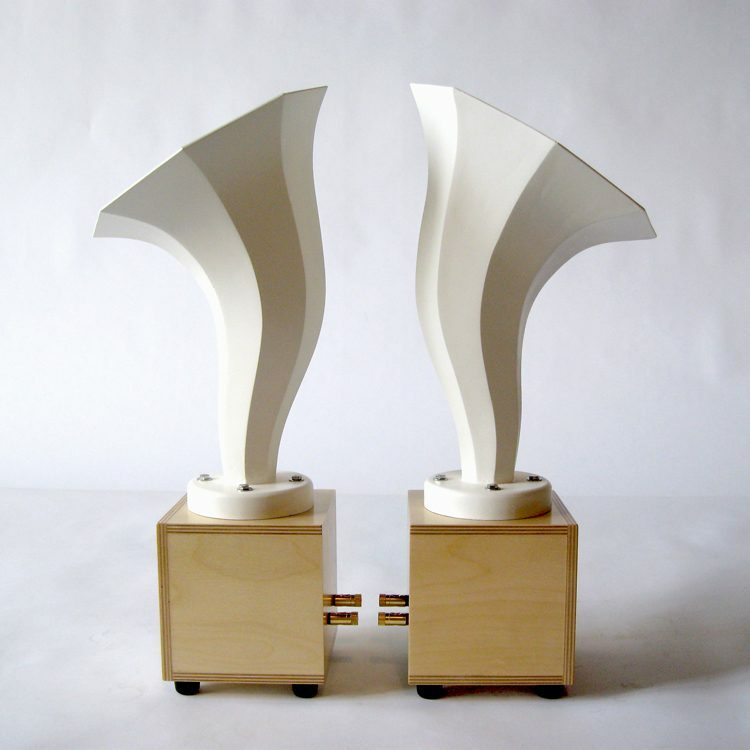 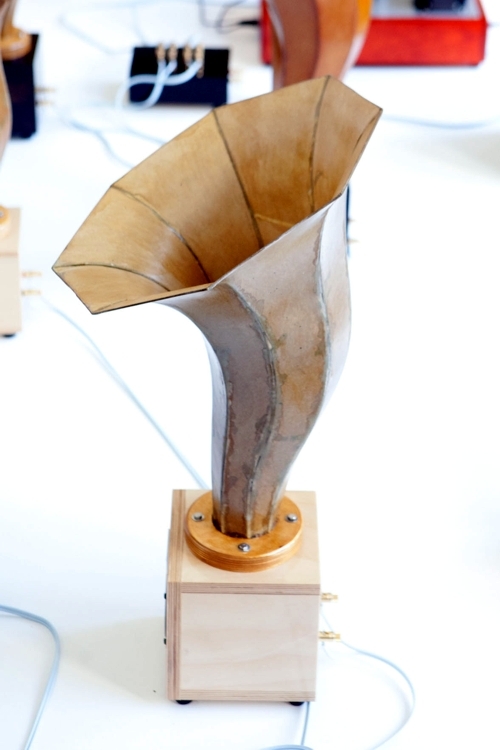 The Hornlets and the larger Hornlings were first created for the Sonic Arboretum, a collaborative project between Specimen’s Ian Schneller and composer/violinist Andrew Bird. 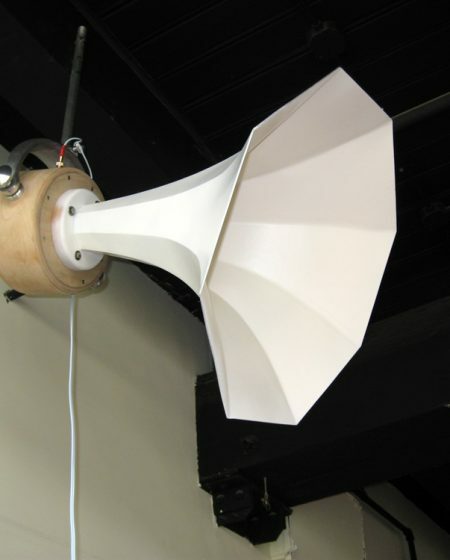 The Sonic Arboretum installation had its debut at New York’s Guggenheim Museum in 2010 and in 2011 at the Museum of Contemporary Art Chicago. 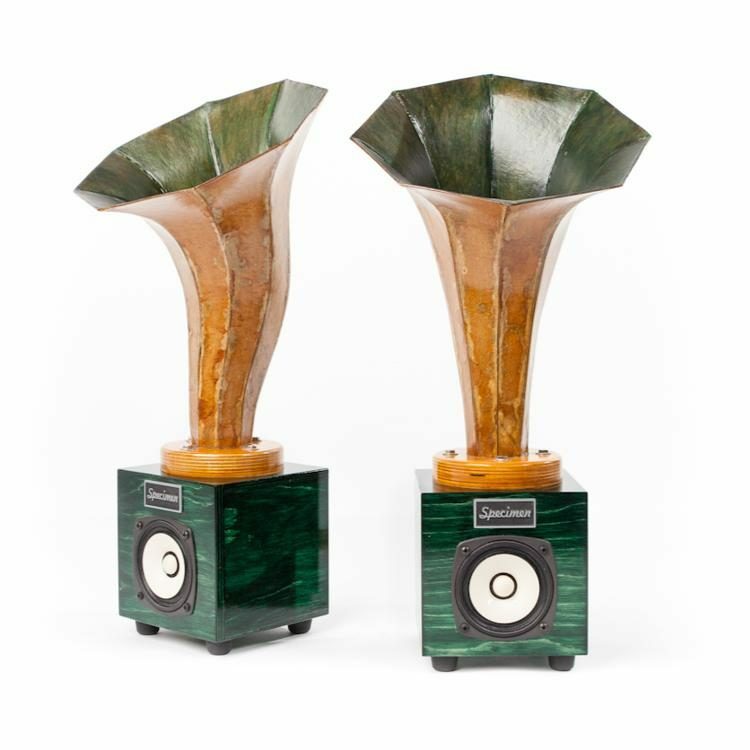 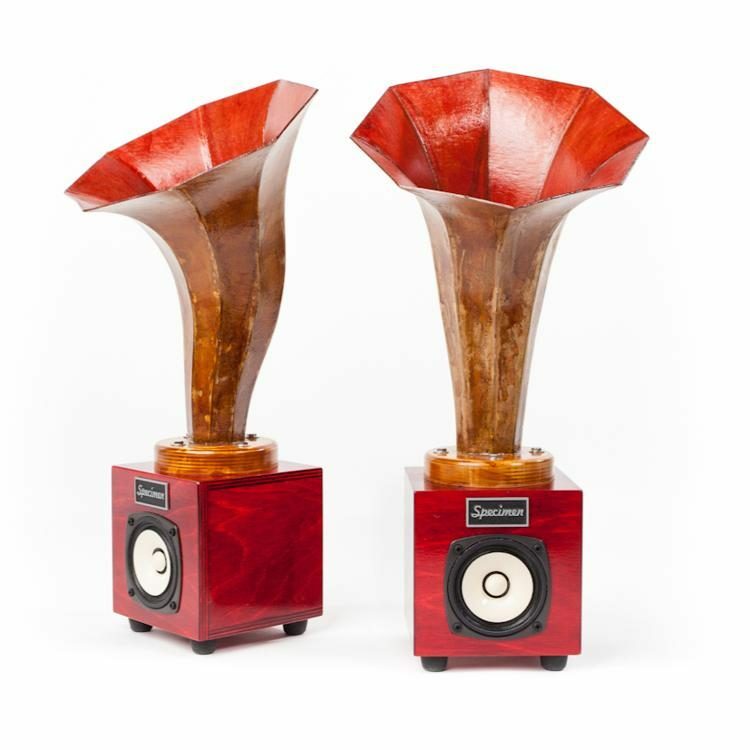 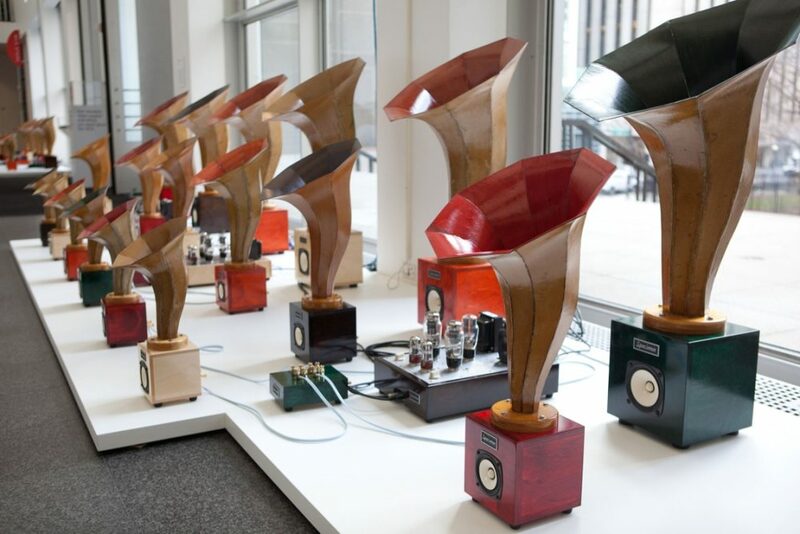 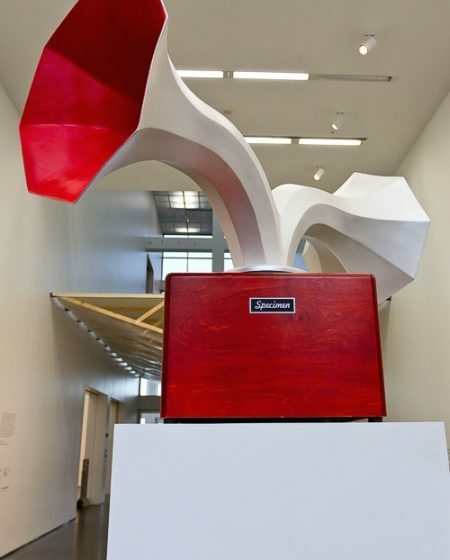 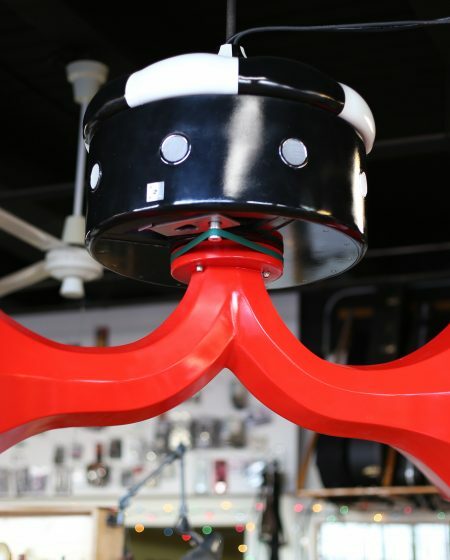 The installation includes a collection of 76 different horn speakers and Specimen’s Custom Hi-Fi Tube Amplifiers. 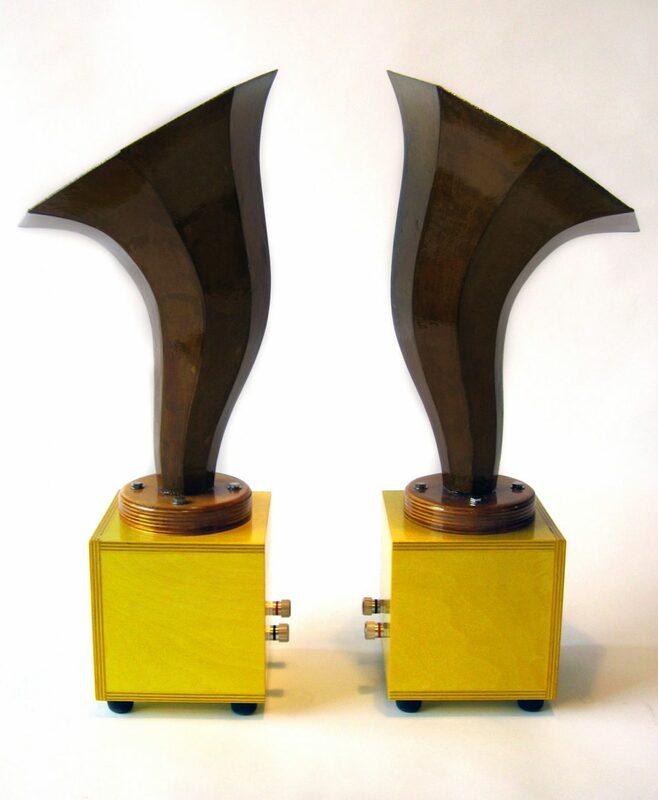 The Hornlets can be paired with our Satellite/Subwoofer unit for a perfect system to use with any sound source (i.e. 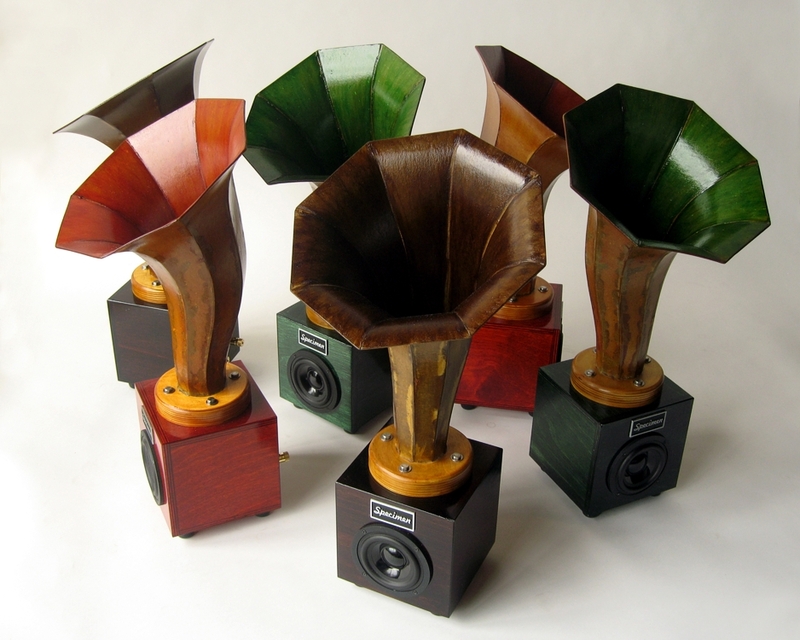 iPod, cd player, radio etc.). 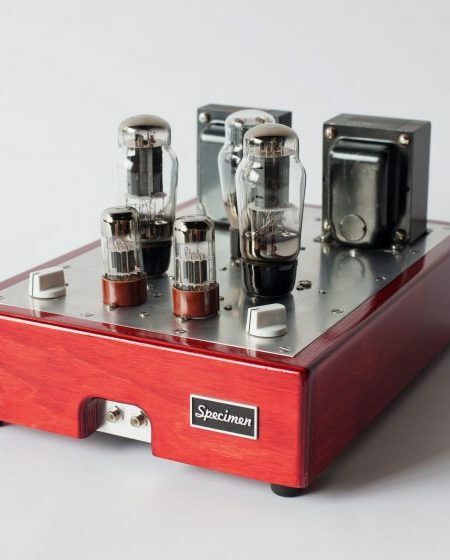 They can also be used with any of our hi-fi tube amplifiers for a beautiful symbiosis. 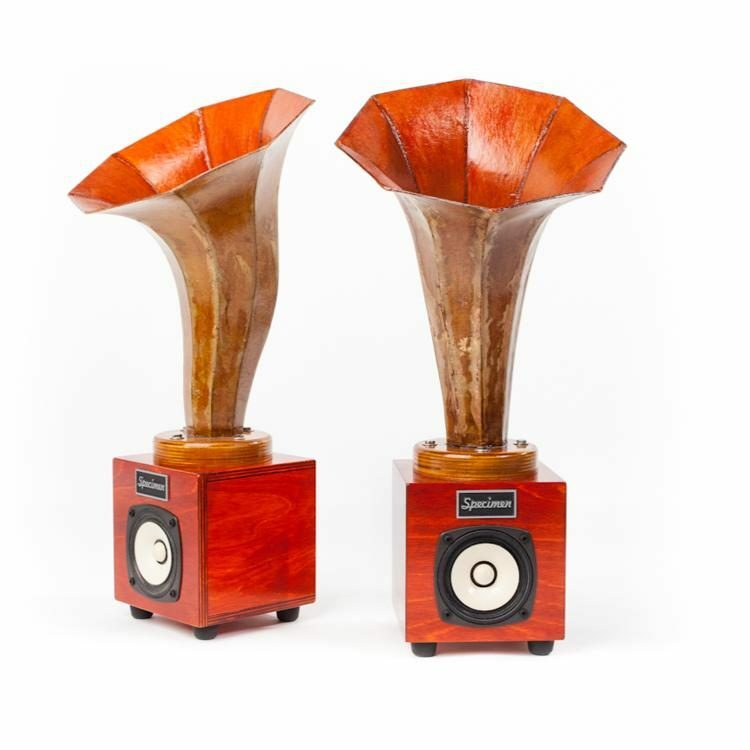 Or they can be paired with virtually any other system and achieve excellent results. 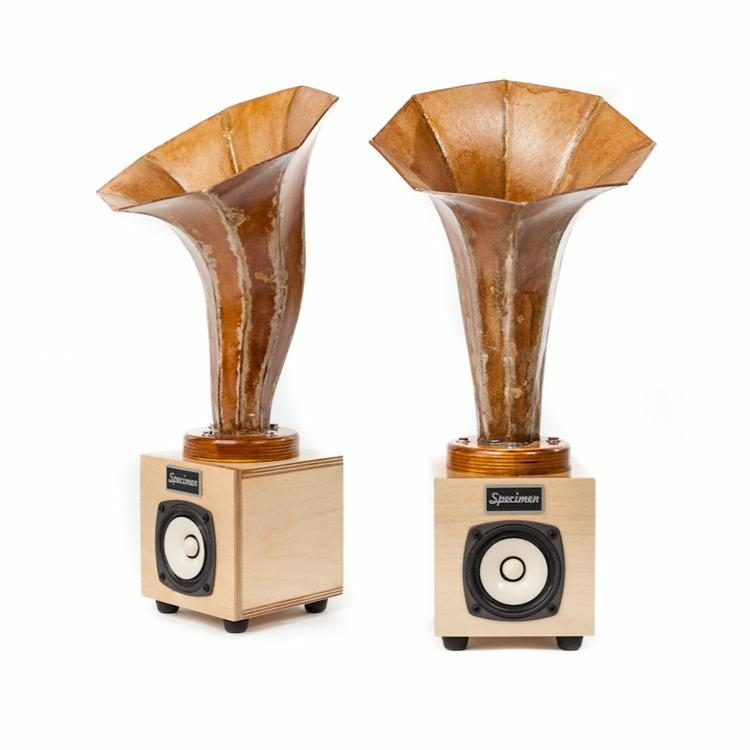 Perfect for home theater use.